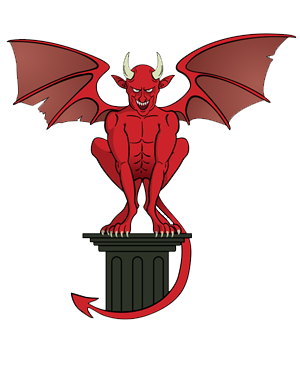 This subject has a lot more to it than this page, and this is just a very low level overview. QFE = Is the mean sea level (MSL) pressure corrected for temperature, adjusted for a specific site like an airfield, being the most obvious example. 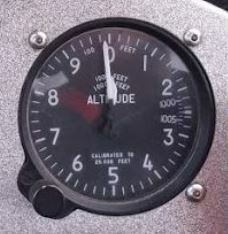 When this is set on your altimeter, it will read your HEIGHT not altitude. It will read zero at airfield elevation and after take off will read your HEIGHT above that specific airfield. If you fly to another airfield of different elevation and/or different QFE pressure, you will have to ensure you reset that particular airfields QFE if you want your altimeter to read zero on touchdown. QFE is very good for new pilots who are remaining in the circuit around an airfield and keeps things simple for that task. QNH = The pressure measured at station then reduced down to mean sea level pressure. When set on your altimeter it will read your ALTITUDE. Sat on the tarmac at your airfield the altimeter will display the airfields elevation above mean sea level. This is the most commonly used pressure setting in the commercial world. Its probably the most useful setting to have, as nearly all aviation references to elevation are in relation to mean sea level. The mountain peaks on a map, airfield elevation, target elevation, minimum safe altitudes en route etc. QNH is given as a regional pressure setting and should be updated with new ones if you leave its area of reference into a new QNH pressure region. So, if going for a flight, the pilot would establish the QNH and the QFE before take-off. If there is no radio controller or ATIS to provide detail, then the pilot can set the altimeter to “0” on the ground to find the QFE. If you know the height of the airfield above sea-level, you can calculate the QNH. Perth is 400 Ft above sealevel. Here (on the ground), the altimeter was set to QFE (reading 0 feet). By looking at the small window just above the “3” you can see the QFE setting that day was 1003 hectopascals. If flying circuits (i.e not leaving the airfield) then this would have been left as it was, unless instructed of change. If the pilot was to leave the area, the altimeter would be manually changed in flight from 1003 to 1017 to reflect the QNH. When the pilot returns to the same airfield, then the altimeter would be reset back to QFE from QHN. This ensures all aircraft fly the circuit at the same height.